On my recent trip to Tokyo, I happened to be there for what is literally a once-in-a-lifetime event — the opening of the grounds of the Imperial Palace in Tokyo, where the Japanese Royal Family lives. 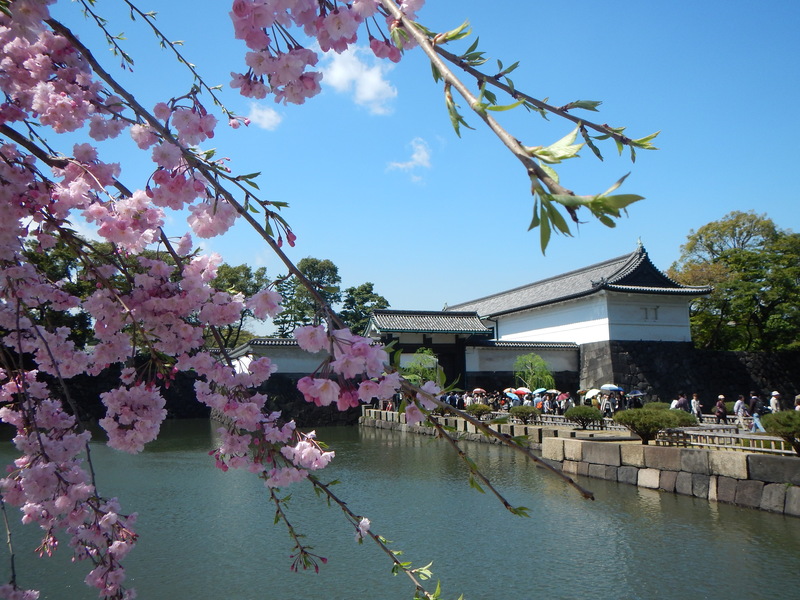 The occasion was the Emperor’s 80th birthday, and for five days only, the gardens and surrounding areas of the Palace would be opened to the public. I say this is a once-in-a-lifetime event because, according to my husband, the Palace grounds are never, ever opened, and because it could be decades before the grounds were opened again. This explained why there were so many old people about. Well, this also had to do with the fact that we went on a Friday morning when most young people were out at their various forms of remunerative drudgery. But it was mostly because the older generations in Japan grew up in a time when the Royal Family was sacred; direct descendants from God. That all changed after Japan’s defeat in World War II, when the US forced the Royal Family to denounce their divinity and say that they were just normal human beings. Nonetheless, the older folks in Japan still have a lot of reverence for the Royal Family, much as I imagine the older Brits have for the Queen. The grounds themselves were beautiful in their own demure, quiet Japanese way. No big pomp and circumstance, like in the overly ornate and overblown Forbidden Palace in Beijing. 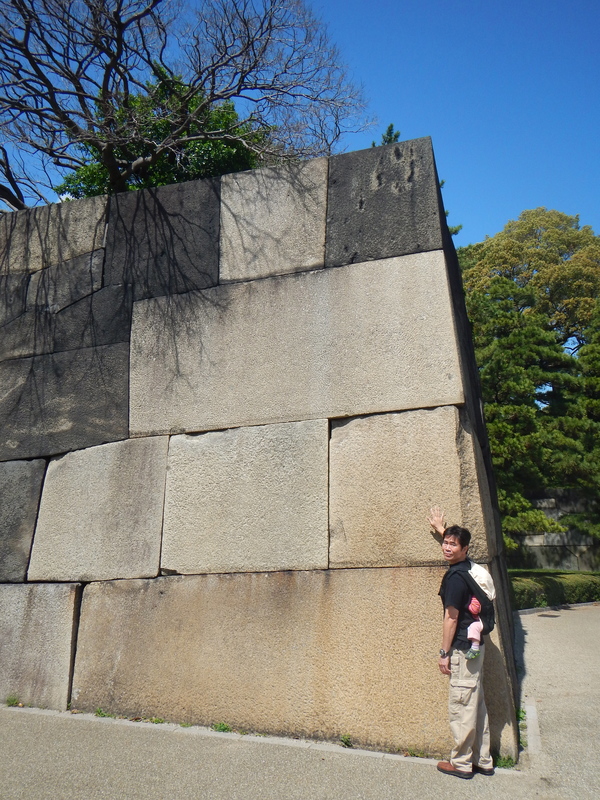 Just a huge stone wall to keep out invaders, perfectly manicured laws, and a handful of small lakes and gardens, with plain wooden benches, and little else. A great opportunity indeed and how lucky we were to get to see cherry blossoms by the Imperial Palace on a perfect spring day in Tokyo! It doesn’t get much better than that. 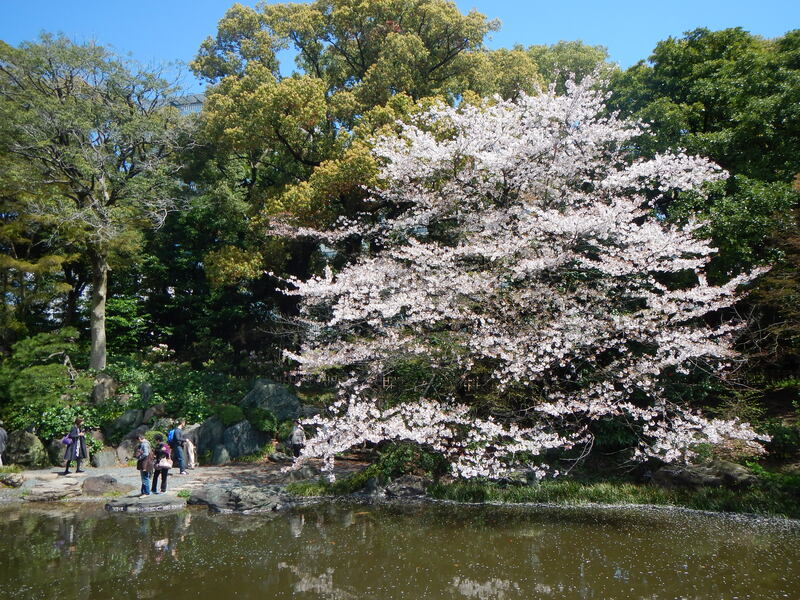 Except maybe sitting under the cherry blossom trees with a cold beer, but alas, hanami parties were not allowed. 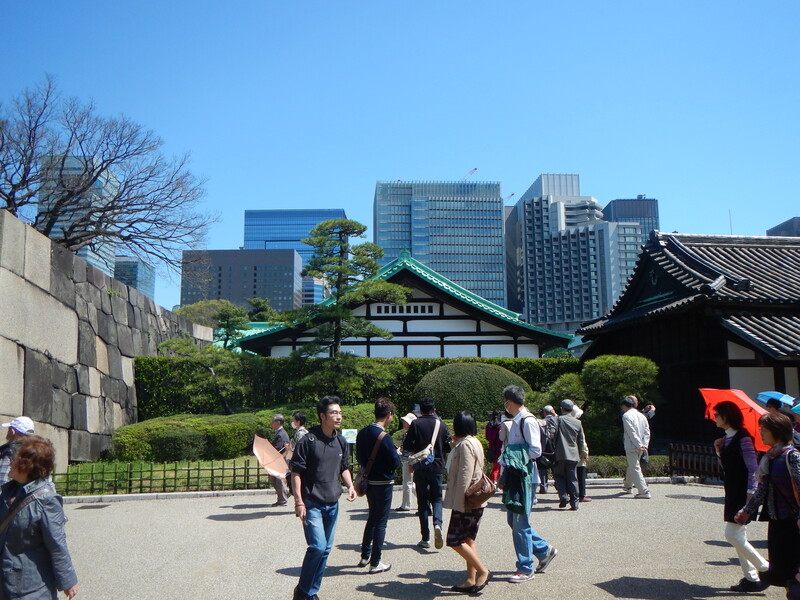 If you’re in Tokyo and want to see the Imperial Palace, you may not be able to go inside the premises the way we were, but certain parts of the Palace grounds and gardens are open to the public. 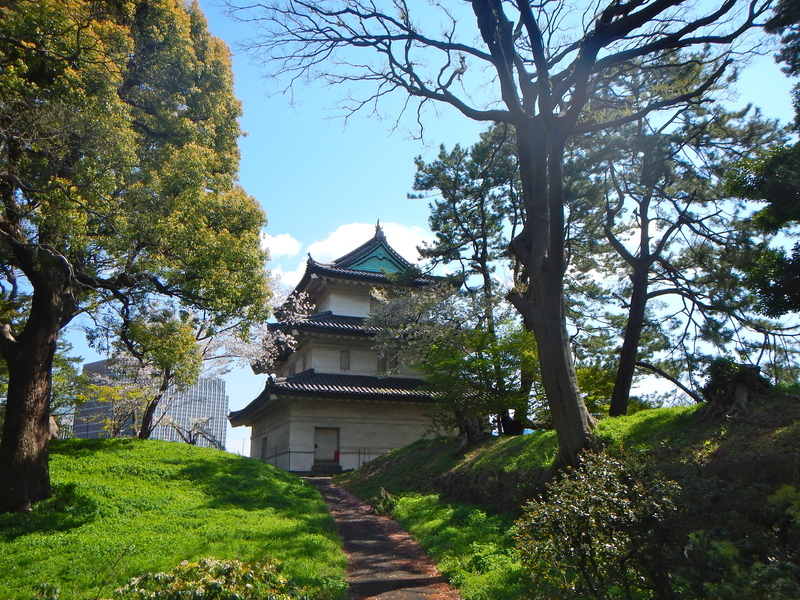 There is a very helpful article on Japan Guide about when and how to plan your visit to the Palace.